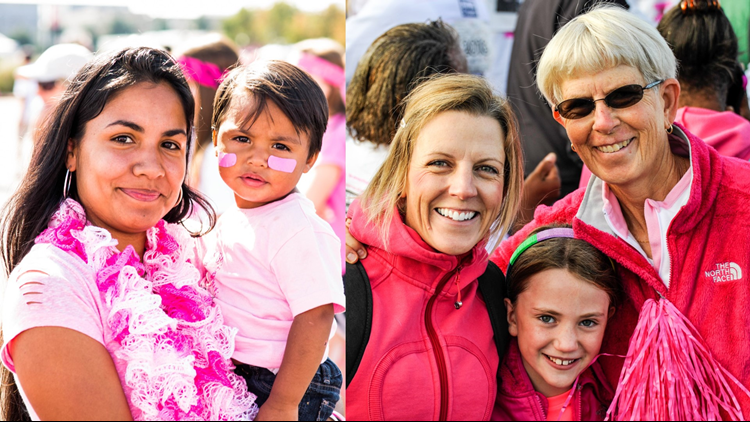 The final weekend of September brings the annual Race for the Cure to Denver, plus dozens of fall festivals & huge sporting events in all corners of the Centennial State. KUSA — Colorado is known for terrific festivals, concerts, sporting events and the arts, and this weekend is certainly no exception. 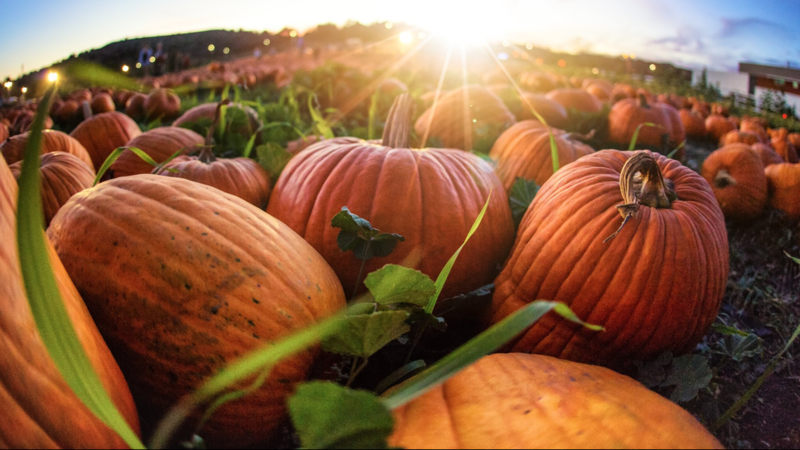 There are several Oktoberfest celebrations, plus corn mazes, pumpkin patches and haunted houses are just beginning to open for the season. 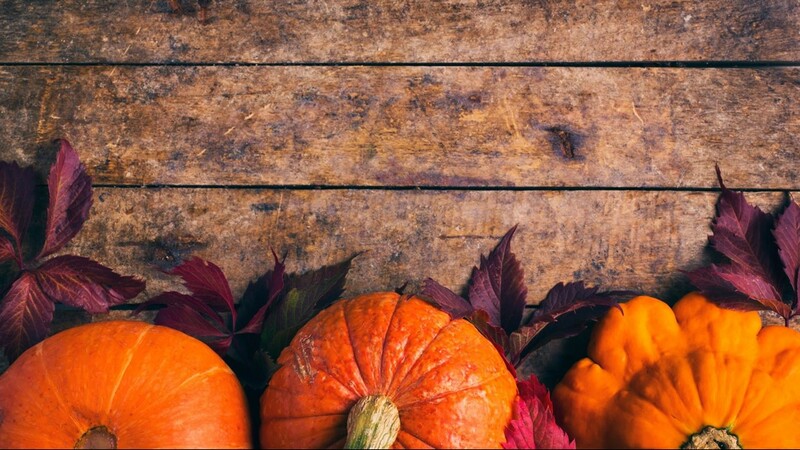 So get outside and embrace the final days of September by experiencing the unique culture, food and geography that make our state so special. The annual Susan G. Komen Race for the Cure arrives this Sunday at the Auraria Campus in downtown Denver. Race for the Cure is a fundraiser to help increase breast cancer research, improve breast cancer health services, eliminate gaps in access and quality and build community between survivors, co-survivors and their communities to honor, support and celebrate. There will be an opening ceremony Sunday at 8 a.m. followed by the run/walk at 8:30 a.m. Race for the Cure donation and registration information can be found at Colorado.Info-Komen.org. 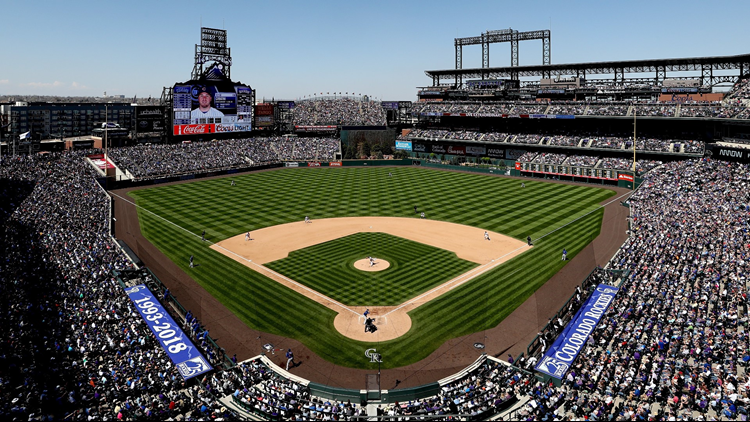 The Colorado Rockies' push for the postseason continues this weekend at Coors Field. The Rockies' final regular season series of the year begins Friday when the Washington Nationals come to town. Friday night's game features Fan Appreciation Fireworks and a 2019 Colorado Rockies magnetic schedule giveaway. The 2018 regular season concludes Sunday afternoon. This weekend's games are sure to sell out, so get yours now at Rockies.com/Tickets. 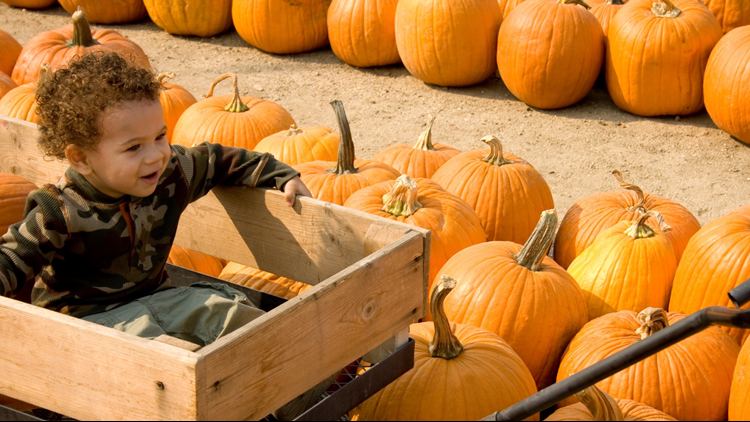 The annual Mountain Harvest Festival runs Thursday to Sunday in Paonia. The community-oriented event features entertainment by local musicians, poets, dancers, comedians and dramatists, farm and winery tours, arts, crafts, food vendors and a farmers' market. On Friday alone there's a chili cook off, pue contest, pub crawl and more. Most of the festival is set at Town Park, just a few blocks from downtown. To see the complete event schedule, head to MountainHarvestFestival.org. 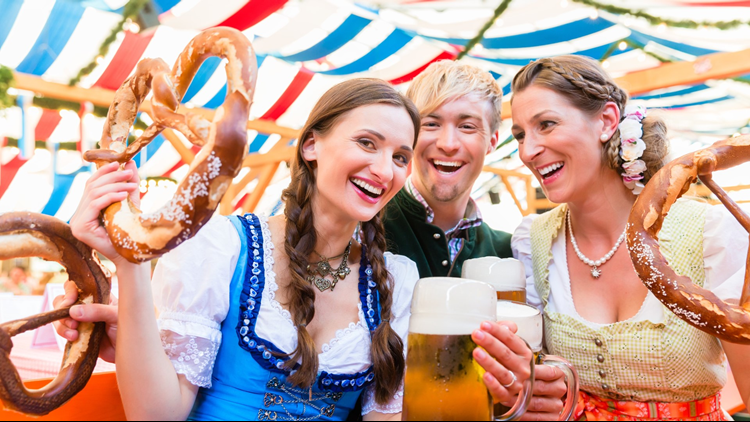 The 49th Annual Denver Oktoberfest is back for a second weekend in downtown Denver. In addition to stein-hoisting there will be food, bier/beer, a silent disco and lots of live music. The party will be located between 20th St. and 22nd St. on Larimer St. in the Ballpark neighborhood near Coors Field. The celebration runs Friday to Sunday. Tickets, Oktoberfest steins and all-you-can-eat-and-drink VIP tickets can be found at TheDenverOktoberfest.com. To celebrate the annual elk rut, the city of Estes Park is hosting Elk Fest this Saturday and Sunday. Held in Bond Park downtown, the festival offers the chance to see elk rutting season in the wild. Elk bulls will be bugling to win the affection of females all while guests enjoy seminars, educational areas, live music, Native American storytelling, craft vendors, guided elk viewing tours, kids craft area and more. Elk Fest begins Saturday with the Rut Run 5K at 8:30 a.m. 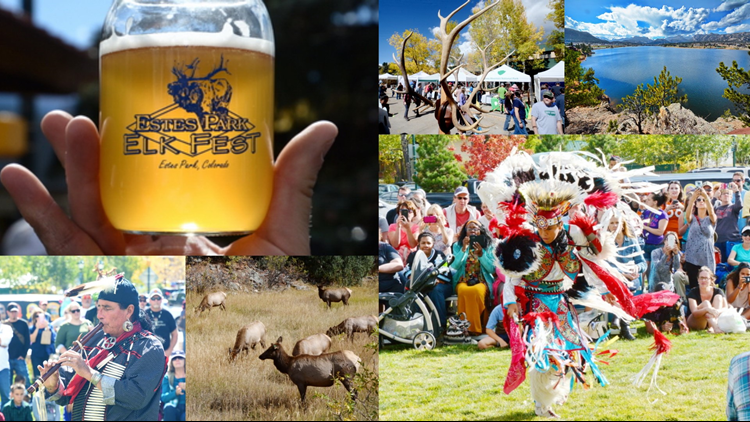 Check out the complete Elk Fest schedule at VisitEstesPark.com. Denver's South Pearl Street will be home to an Oktoberfest on Saturday from 1 to 9 p.m. 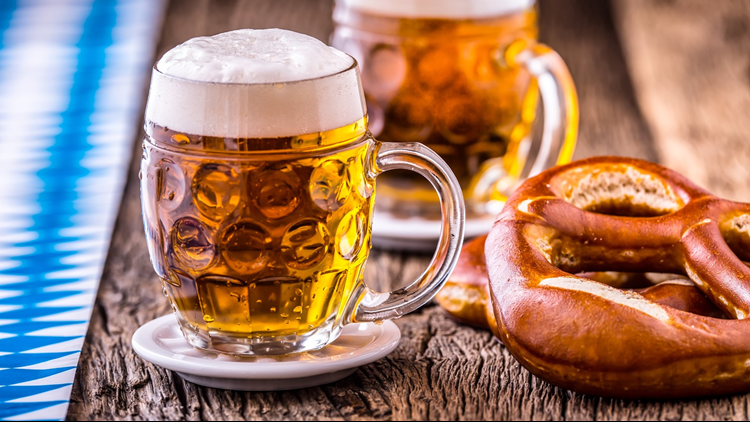 There will be beers, brats, a stein-hoisting competition and games including corn hole and giant Jenga and live music from The Average German Band, Zen Mustache, and The Love Electric. The Oktoberfest takes place on the 1500-block of South Pearl Street and is free to attend. 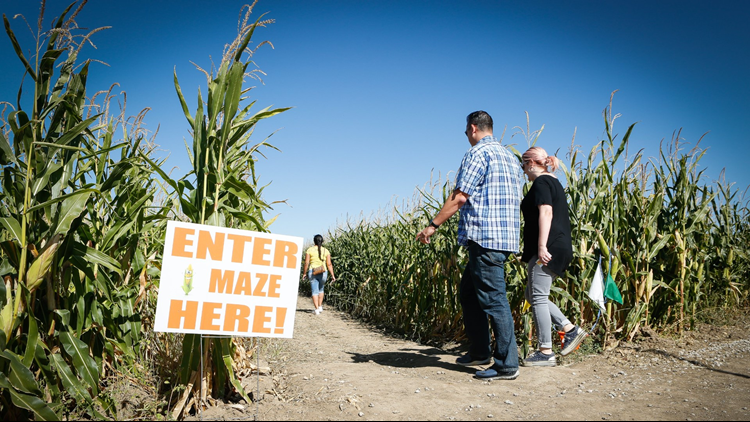 If you're looking for a fun, fall event, consider Maize in the City in Thornton, which opens Friday. 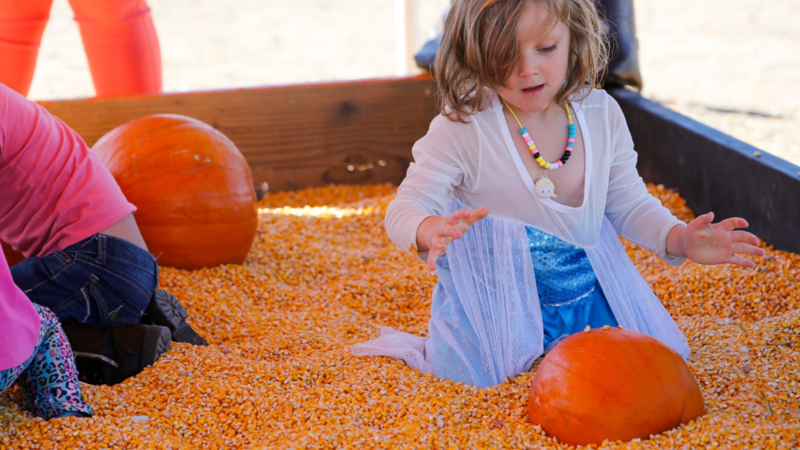 There is a 20-acre corn maze (which takes a minimum of 40 minutes to complete), a mini maze, barrel train ride, corn launcher, an all-new giant pumpkin bouncer, kids petting zoo and much more. 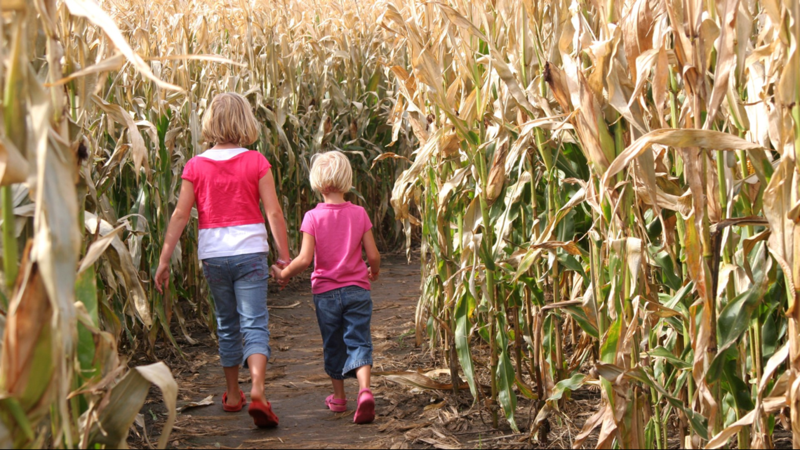 Admission to the Maize in the City site is free with attraction prices varying from free to $20. The site will be open Thursday to Sunday until October 21 and daily the last week of October. Check out all the activities and snag your tickets at MaizeintheCity.com. 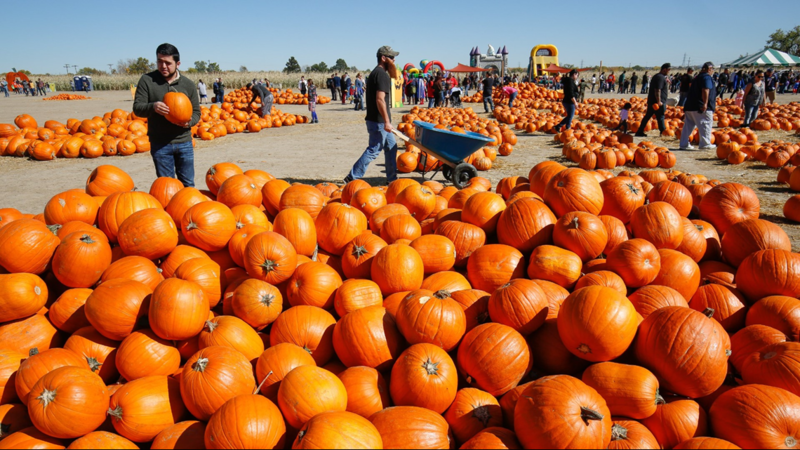 A traditional Colorado fall event is back this weekend east of Denver. 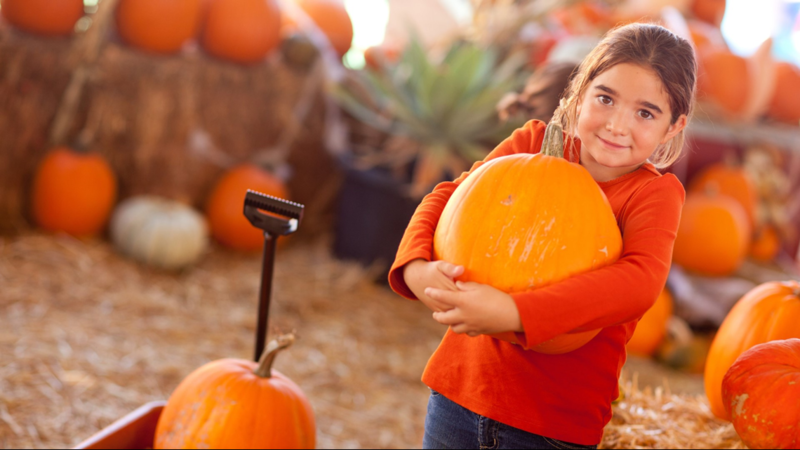 Mile High Farms opens on Saturday for autumn with two corn mazes (large & mini), antique tractor ride, pumpkin patch, barrel cart rides, bounce houses, farm animals, stage performances, farmers' playground and more. 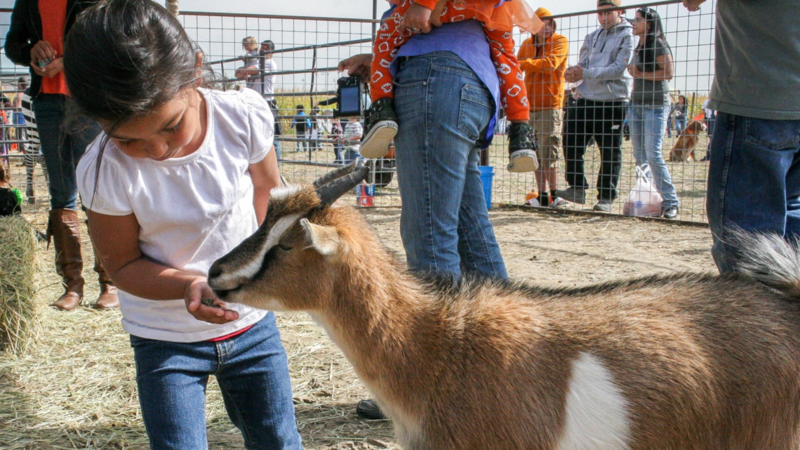 Mile High Farms is located just east of Denver off I-70 and Manila Rd. 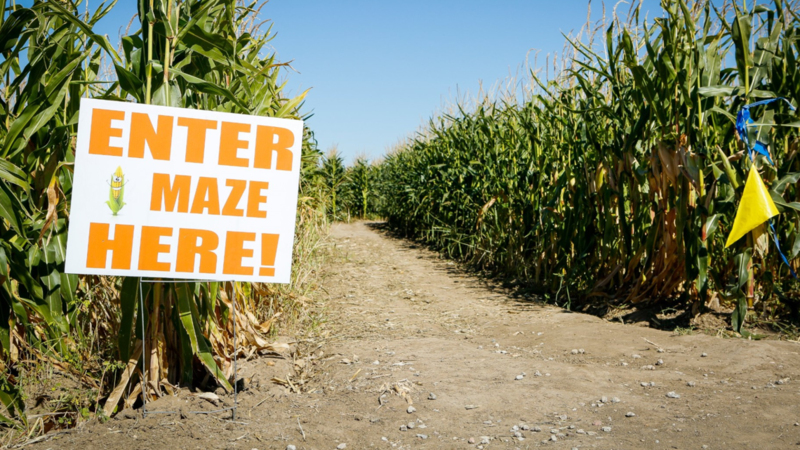 Tickets and a maze map can be found at MileHighFarms.com. 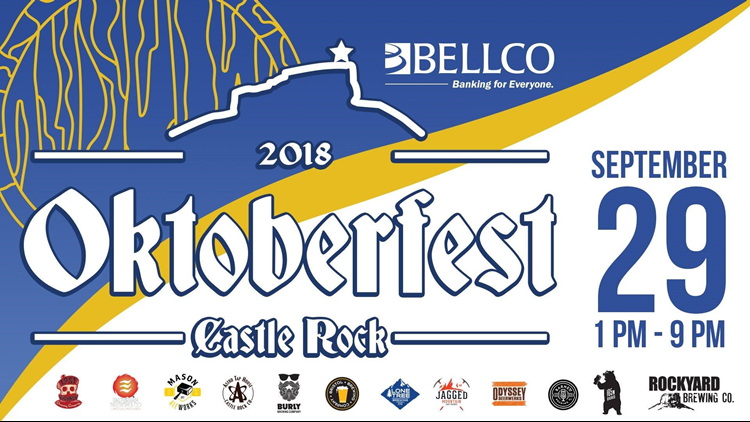 Castle Rock's free Oktoberfest is this Saturday from 1 to 9 p.m. More than a dozen local breweries will be filling steins in downtown Castle Rock. There will also be a corn hole tournament on the South Country Lawn, college football games courtesy of Xfinity, face painting, balloon artists, giant beer pong, Oktoberfest merchandise, German food vendors, live music from Peter Irish, the Denver Kickers Schuhplattlers, Rhinelanders and more. 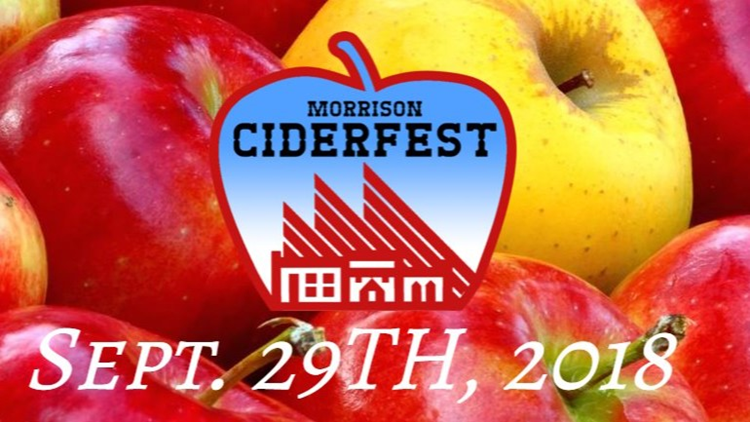 The Morrison Ciderfest will be held this Saturday on the grounds of Bear Creek Care & Rehab in downtown Morrison. 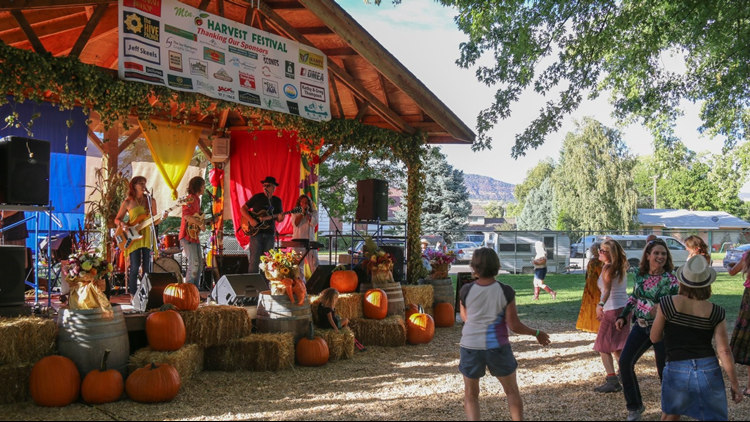 The event kicks off in the morning with plenty of family-friendly activities including cider presses, kids' area with bounce castle, arts and crafts exhibits, hay and pony rides and live music from Denver's Thirsty Five, Steepland String Band, Royal Aces, and Graham Good & The Painters. 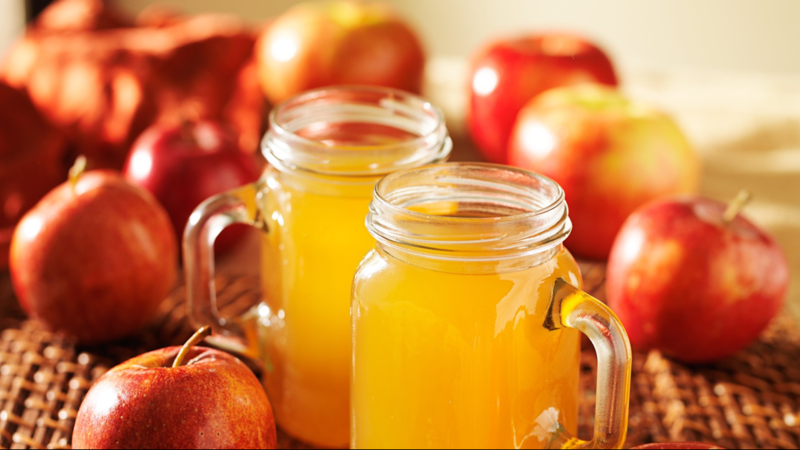 The Morrison Ciderfest will run from 10 a.m. to dark and admission is free. Littleton's Breckenridge Brewery will be home to the Colorado Oktoberfest on Saturday. The fest promises five hours of action-packed excitement on Breckenridge Brewery's breathtaking 12-acre campus. 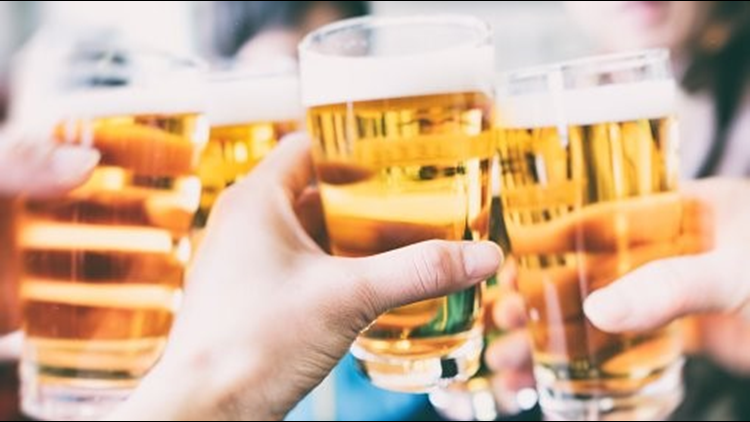 The festivities include unlimited tastings of more than two dozen craft brews, live music, stein-hoisting competitions, best leg competitions, chicken dance off, keg bowling and Oktoberfest games such as beer pong, long poür and yodeling. The Colorado Oktoberfest will take place from 1 to 6 p.m. and tickets can be acquired online. 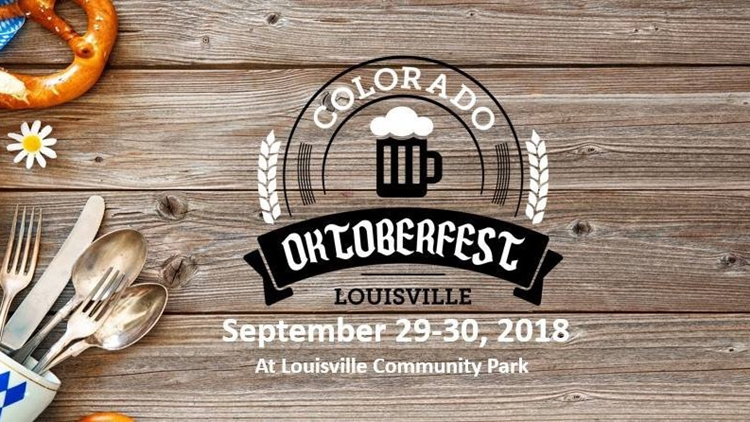 The Louisville Oktoberfest is at a new location this year at Community Park, five blocks south of Old Town. 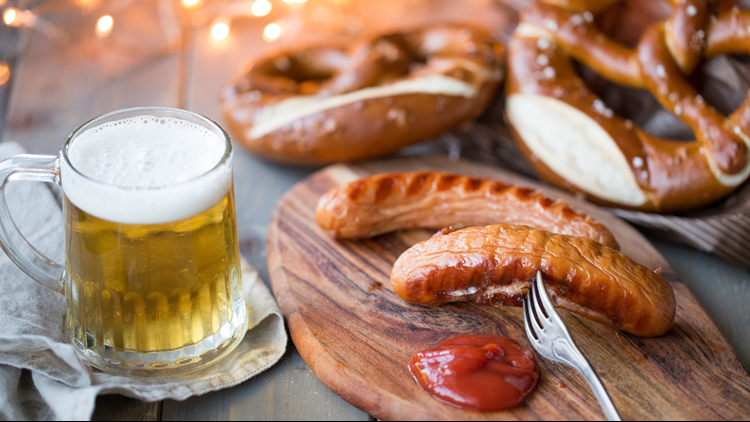 The Oktoberfest runs Saturday and Sunday with live music, German brews, ciders, wines and spirits and, of course, delicious Bavarian foods. The weekend also features The Preztel Run 5K, 10K and Kids Run which are set for Sunday morning, starting and finishing at the Oktoberfest venue. A kids and games will have German and non-German games with a jump castle, corn hole, fussball, jump ropes, molkky, tipp kick and much more. Advance tickets are just $5 and can be found at LouisvilleOktoberfest.org. 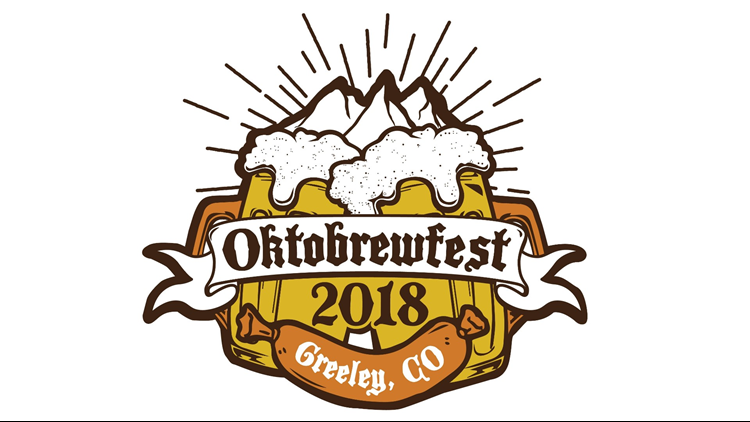 The 2018 OktoBREWfest is this Saturday and Sunday at Greeley's historic Lincoln Park. The celebration begins Friday night at 5 p.m. with great beers, brats, games and a free concert. Saturday will be a full day of fun at the downtown park from 11 a.m. to 9 p.m. with live music, craft beer from Northern Colorado breweries, over a dozen food vendors and kids' area with face painting, obstacle course, arcade games, inflatable slide and more. 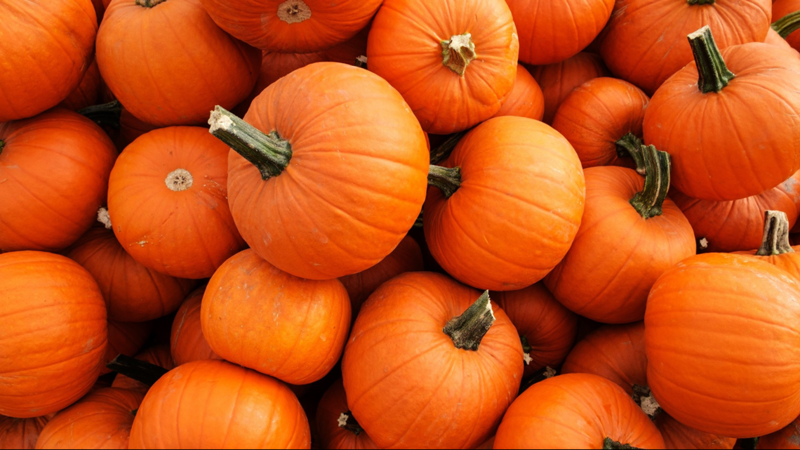 Kids and adults will enjoy a pie-eating contest, stein-lifting contests and life-size beer pong. VIP beer tasting tickets can be purchased online. The 13th Annual Montrose Oktoberfest begins Saturday at 1 p.m. in downtown Montrose. 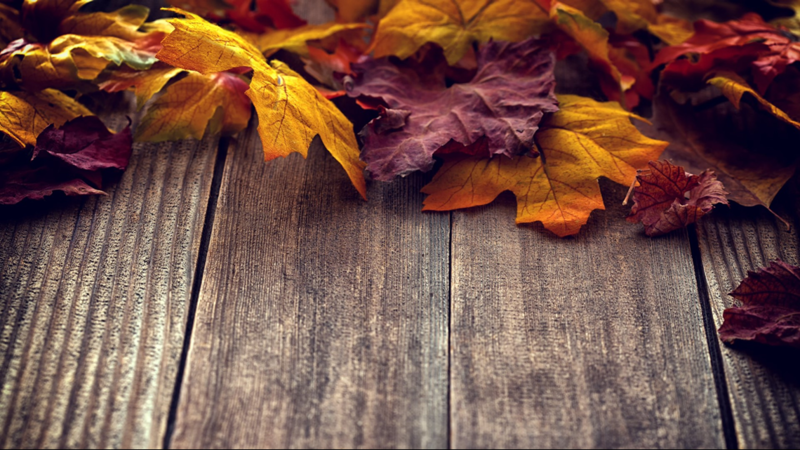 The festive fall event will have dozens of award-winning craft breweries on hand, as well as live music, food, a stein-hoisting competition, costume contest and more. Tickets for the Montrose Oktoberfest, which will be held at Centennial Plaza, can be bought in advance at AllPointsTransit.com. 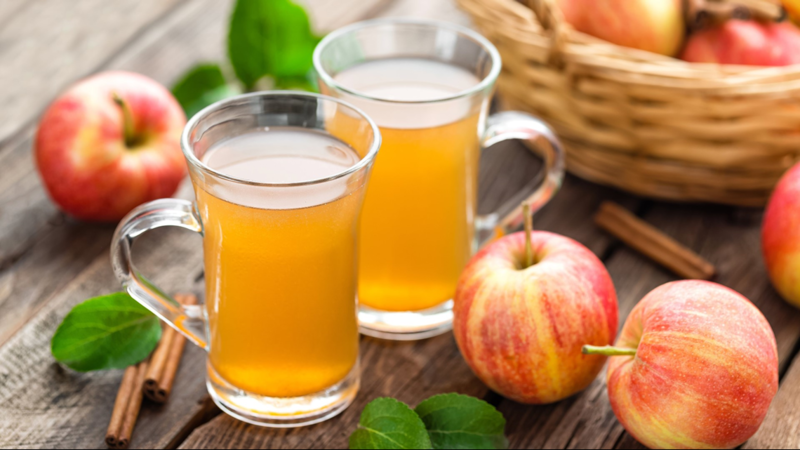 Autumn is here and that means it's cider time. 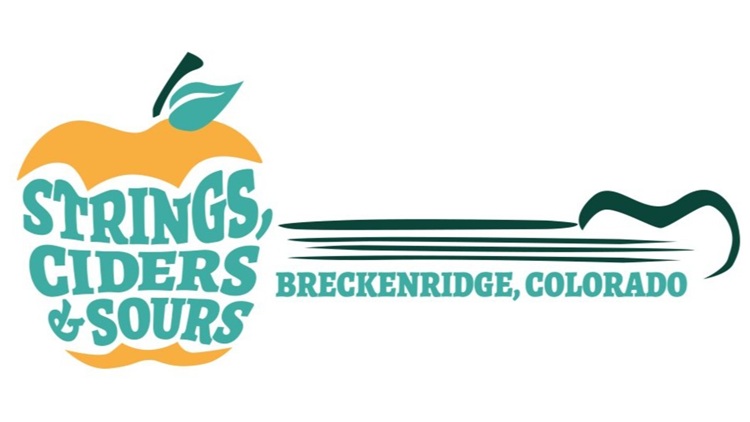 Cider and wild ale lovers won't want to miss this weekend's Strings, Ciders & Sours in beautiful Breckenridge. The Grand Tasting is Saturday with live music from bluegrass bands, a commemorative glass and dozens of cider and ale vendors. A Cider & Food Pairing Dinner is set for Friday night and a Brunch on Sunday, both of which will overlook Maggie Pond, at Sauce on the Maggie restaurant. Breckenridge Strings, Ciders & Sours tickets can be purchased online. The smash hit Broadway musical Dear Evan Hansen has debuted its first national tour at Denver's Buell Theatre. The musical, which won six Tony Awards including Best Musical and the 2018 Grammy Award, features songs by Oscar-winning duo Benj Pasek and Justin Paul. The Washington Post calls the production “one of the most remarkable shows in musical theater history.” Ticket availability is low at DenverCenter.org, but there will be an online ticket lottery, offering $25 tickets, 48 hours before each performance at LuckySeat.com. 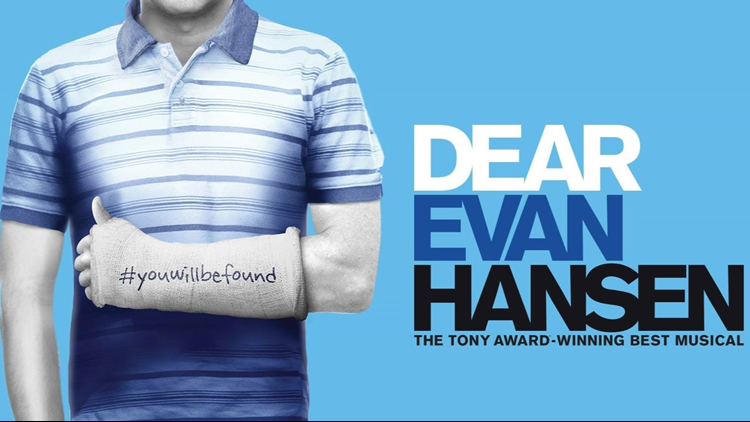 Dear Evan Hansen plays the Buell Theatre through October 13. 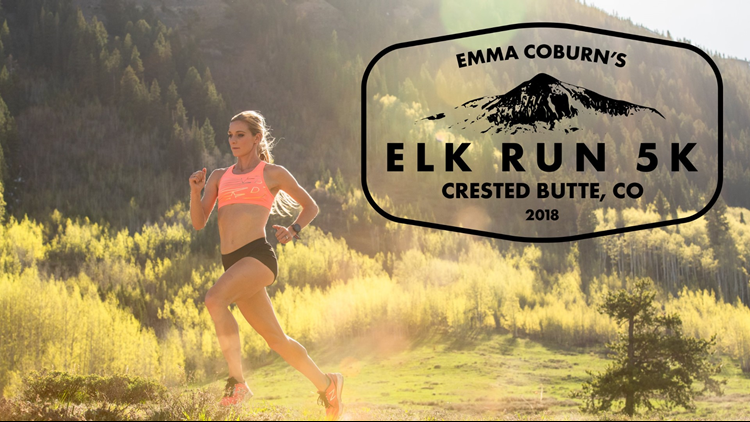 Crested Butte native, Colorado Buffalo and Olympic medalist Emma Coburn is holding the Elk Run 5k on Saturday in Crested Butte. The run will benefit local non-profit Living Journeys, which provides financial assistance, emotional support and enrichment programs to Gunnison Valley residents affected by cancer. The 5k is set for 10 a.m. Saturday starting on historic Elk Avenue. The event is for runners of all abilities and also features a post-race festival with entertainment from 6 Million Dollar Band. Run registration and donation information can be found at ElkRun5k.com. 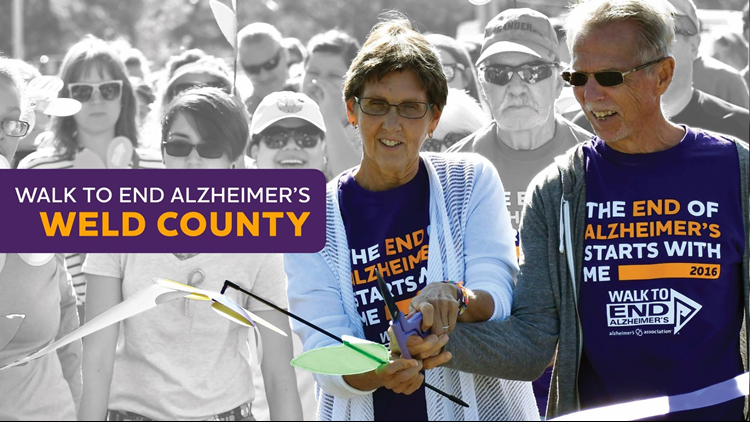 You can help take the first step to a world without Alzheimer's at this weekend's Walk to End Alzheimer's in Weld County. The event takes place Saturday with a ceremony at 9 a.m. followed by the walk at 9:30 a.m. at Greeley's Bittersweet Park. You can find walk registration and donation information at Act.Alz.org. Have a "blast" this weekend at an event that celebrates the mining history of Idaho Springs. The 6th Annual Dynamite Days is this Saturday at Citizen's Park. 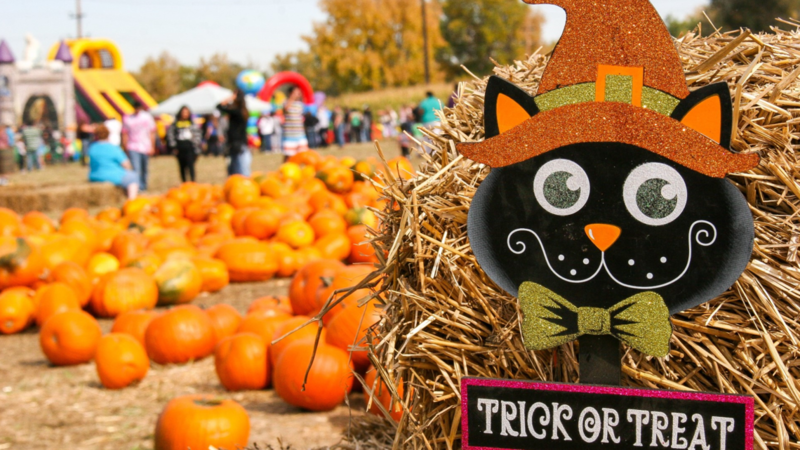 From noon to 9 p.m. there will be live music, food, over 20 vendors, kids' activities, entertainers and a chili cook-off. 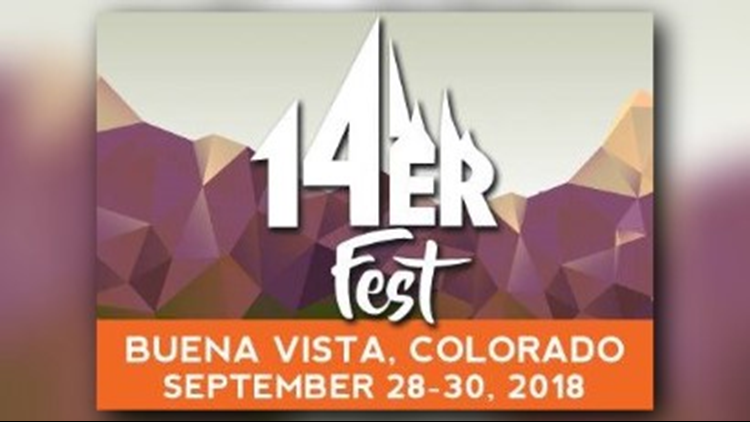 The 14er Fest, which runs Friday to Sunday, is a multi-sport mountain festival for all trail users, ages and abilities. There are scheduled events and tutorials in vehicle off-roading, mountain biking, hiking, fly fishing, trail running and more. 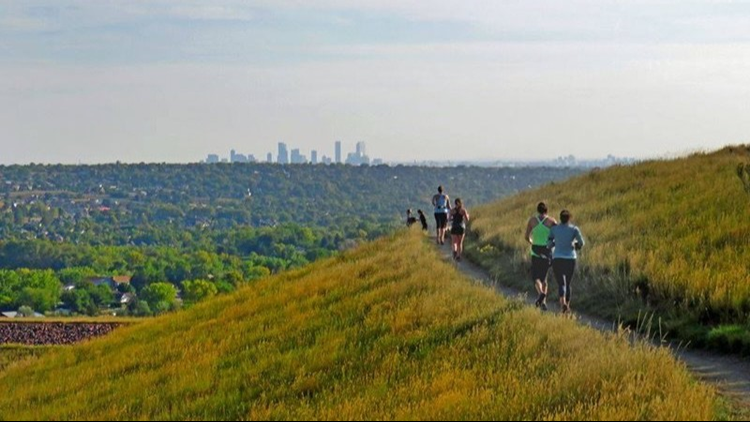 A 5K is set for Saturday and 10K hill climb on Sunday morning. To see a complete event schedule, register for an activity or sign up for camping in Buena Vista, head to 14erFest.org. Organizers say this weekend's NoCo Baby Expo is Colorado's biggest baby and maternity expo. New and expecting parents in Colorado and Southern Wyoming will have a full day to shop, learn and explore the latest in baby products from 65 vendors, information and workshops. 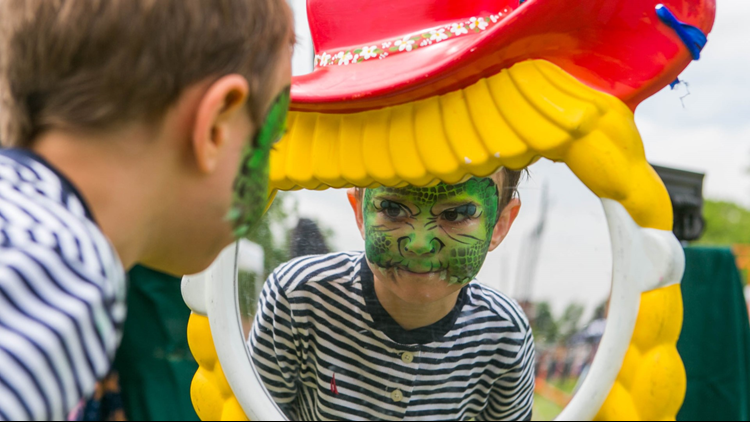 The expo will also have a kids' zone with trackless train rides, inflatable bounce house, inflatable ponies, face painting, crafts, balloons and more. 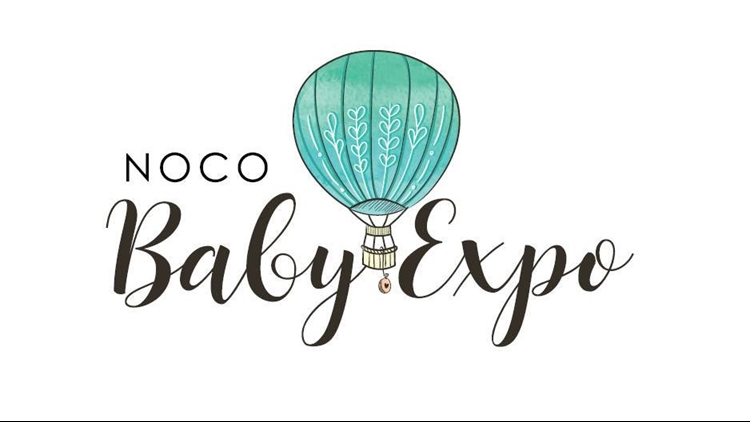 The NoCo Baby Expo runs from 10 a.m. to 3 p.m. Saturday at The Ranch Events Complex. You can get your tickets now at NoCoBabyExpo.com. 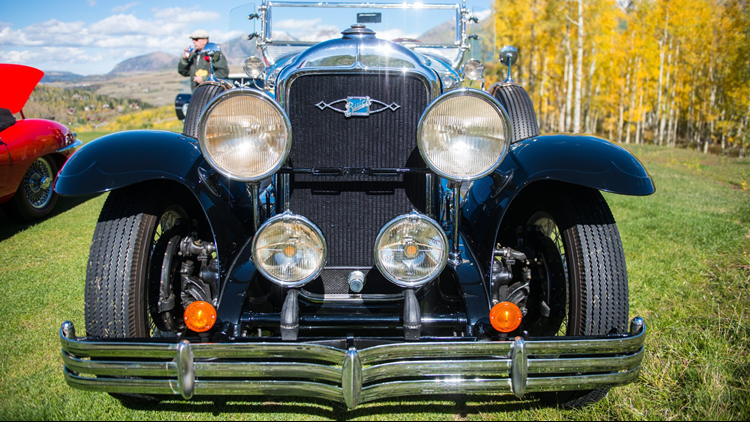 The annual Telluride Festival of Cars & Colors is a automotive celebration set against the stunning gold leaves of the San Juan Mountains. Several events are planned from Thursday to Sunday including Concours on the Golf Course, Motorcycle Concours, Cool Cars on Colorado and a hypercar display at the Telluride Airport. Single-day and multi-day passes for the 4th Annual Telluride Festival of Cars & Colors, and a complete event schedule, can be found at CarsAndColors.com. It's hockey time in Colorado! 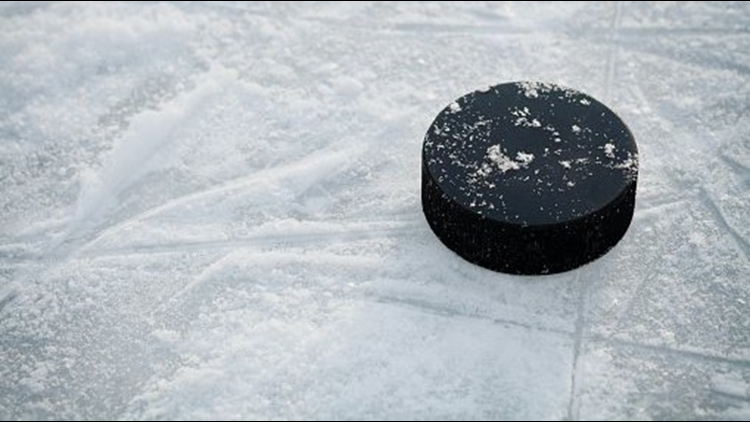 The Colorado Avalanche and Minnesota Wild will face off in a preseason matchup at Pepsi Center this Friday night. 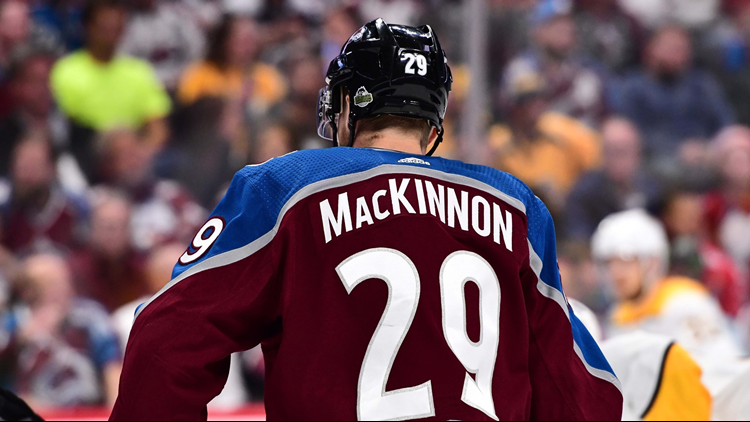 Tickets for Avalanche hockey are available at AltitudeTickets.com. The Colorado Avalanche will host its inaugural Avs Fan Fest from 11 a.m. to 2 p.m. on Saturday at Pepsi Center. The festival is open to all and parking and admission are free. The fest will let fans get an exclusive, behind-the-scenes look at the inner workings of an Avs team practice. The fest is a non-ticketed event, but fans are strongly encouraged to RSVP, especially because those that do so will be entered to win some great prizes. This event was first published by MileHighOnTheCheap.com. For more local deals and discounts go to MileHighOnTheCheap.com. Welcome to the American Hockey League, Colorado Eagles. Back-to-back ECHL Kelly Cup Champions, and Colorado Avalanche minor league affiliate, Colorado Eagles begin their first season in the AHL with two preseason games this weekend. The Eagles will host San Jose Barracuda on Friday and Saturday at 7:05 p.m. at the Budweiser Events Center. Tickets are available at the box office or ColoradoEagles.com. 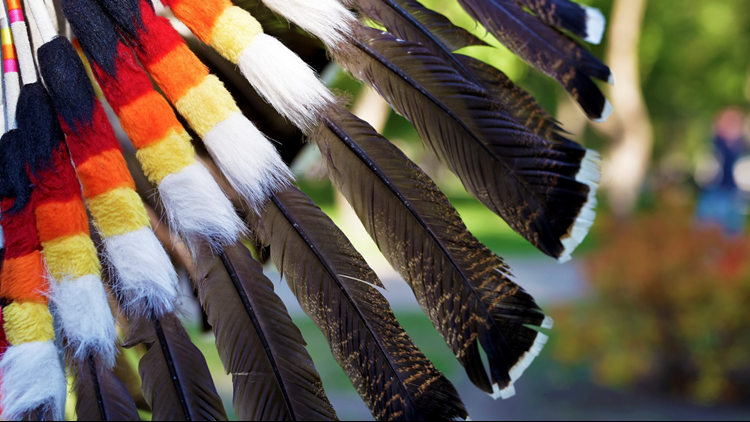 The 5th Annual Denver American Indian Festival will be held Saturday and Sunday at Good Shepherd UMC (128th Ave. & Emerson St.). The free, family-friendly festival is open to all people and is meant to share and appreciate Native American culture through song, dance, arts, crafts, food and fun. There will be live performances, craft vendors, a kids' craft area, birds of prey and reptile show and much more. Visit DenverAmericanIndianFestival.org to see a complete weekend schedule. 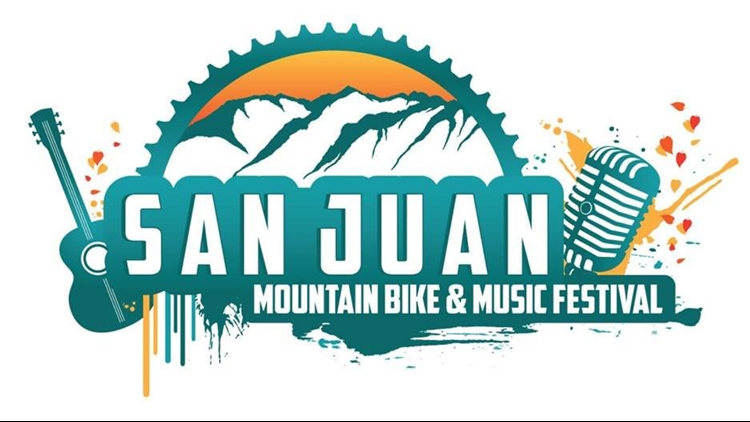 The first-ever San Juan Mountain Bike and Music Festival takes place Friday to Sunday at Purgatory Resort. Each day of the festival will have food, beer and bike vendors, 2019 bike demos and live music. Single or multi-day passes are available online. Colorado's largest tattoo convention returns this weekend to the National Western Complex. National, regional and local tattoo artists will be on hand for demonstrations and competitions in over 18 categories. This weekend's convention will also feature a custom car show, live concert performances on three stages, live graffiti competitions, Lucha Libre and chocolate wrestling, fashion show, pin-up competition, freak show and side show entertainment, merchandise and apparel vendors, Colorado barber and stylist battle, over 17 barber competition categories and much more. The Colorado Tattoo Convention & Expo runs Friday to Sunday with passes sold at TicketsWest.com. 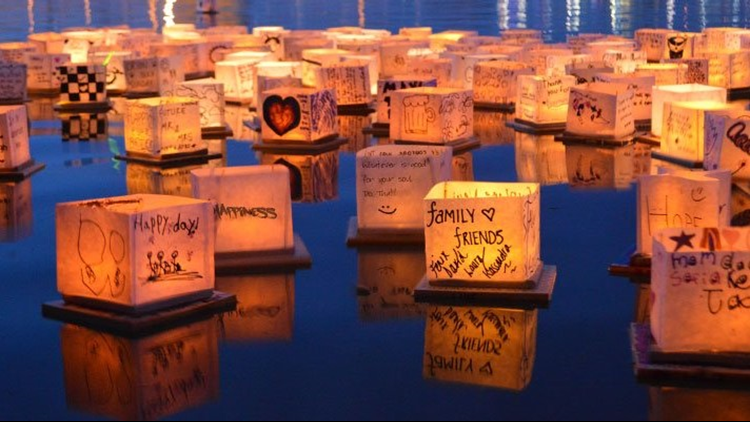 The Water Lantern Festival is a family-friendly event where attendees will light up Thornton's Carpenter Park in a magical, peaceful experience. The festival will begin at 4 p.m. Saturday with food trucks, live music and lantern design time. The lanterns will launch onto the water at 8 p.m. Tickets are sold at WaterLanternFestival.com. This weekend's Bear Chase Race Endurance Festival includes 100k, 50 mile, 50k, half marathon and Baby Bear 10k Trail Races. The races at Lakewood's Bear Creek Lake Park feature a variety of terrains as well as sweeping panoramic views. The 100k, 50 mile and 50k will take place Saturday and the 10k and half marathon begin Sunday morning. Race registration and information can be found at BearChaseRace.com. 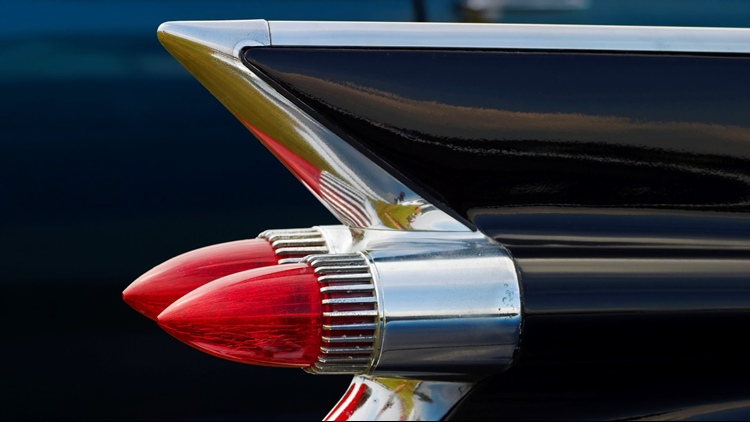 The 2nd Annual Holly Gateway Classics Car, Truck & Motorcycle Show has arrived. Cars, trucks and motorcycles will line Main Street in Holly while the Fulton Street Band performs live music all day Saturday. Depot Park will be home to food trucks, food vendors, a corn hole tournament, kids' activities and a beer garden provided by the Holly Volunteer Fire Department. Bart Crow with guest Adam Capps Band will head the Gateway Concert & Street Dance at 8 p.m., tickets for which are available with a discount online or at the gate. The 4th Annual Heritage Brew Festival is this Saturday at Manitou Springs' Memorial Park. 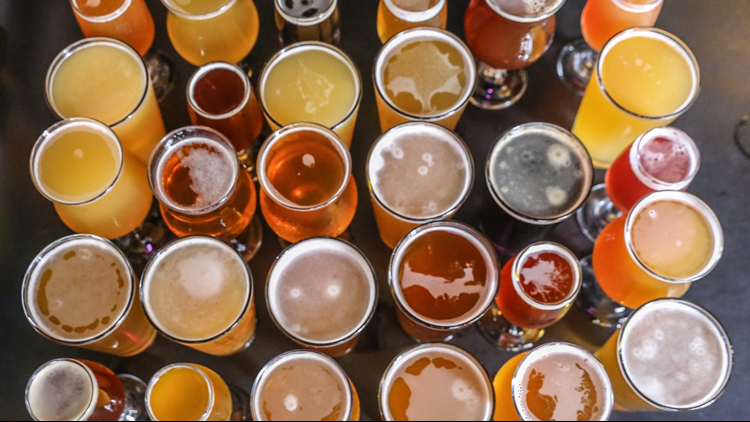 Over 30 local breweries will be offering tastings from noon to 5 p.m. The festival will have live music from Tejon Streetcorner Thieves, Ruxton Railsplitters, Joe Johnson, and Big Sky. Heritage Brew Festival tickets are available online. All proceeds benefit the Manitou Springs Heritage Center. 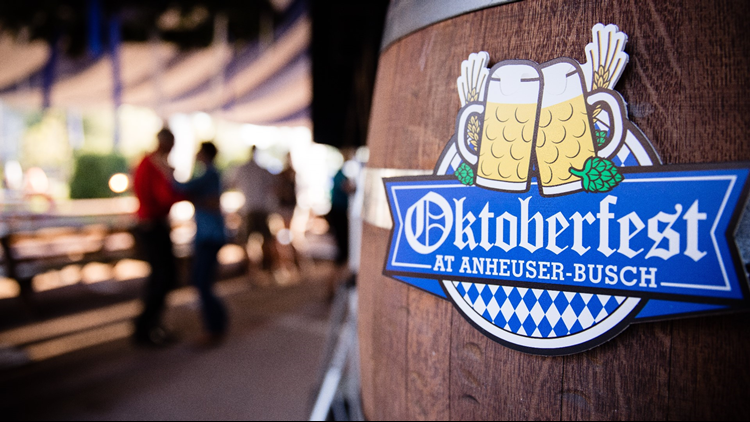 The Oktoberfest celebration at Anheuser-Busch continues this weekend at the Fort Collins brewery. 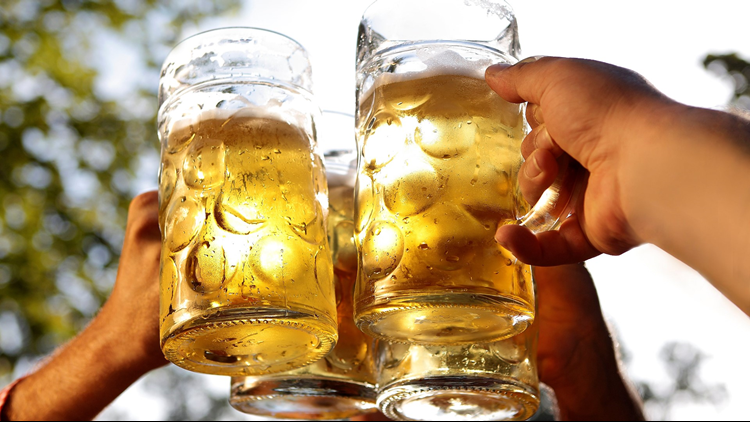 Guests can enjoy a special menu of Anheuser-Busch Oktoberfest beers through Saturday. From 6 to 8 p.m. Thursday is Yappy Hour, which will benefit Animal House Pet Rescue of Fort Collins. Friday is a "Fire Pit Friday" with the ever popular Twirling Zucchinnis on the Biergarten patio. On Saturday afternoon the Oktoberfest will have German food, German beers, live music and games from noon to 6 p.m. For a full schedule of events, visit BudweiserTours.com. 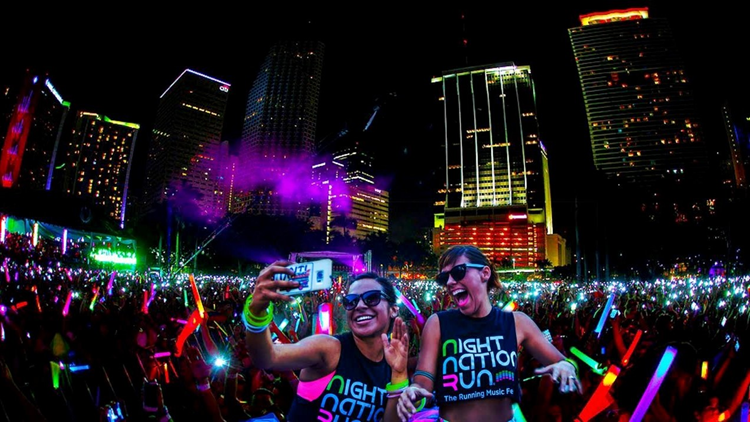 The Night Nation Run is the world's first running music festival, so if you’re looking to set your 5K personal record, this might not be the run for you. 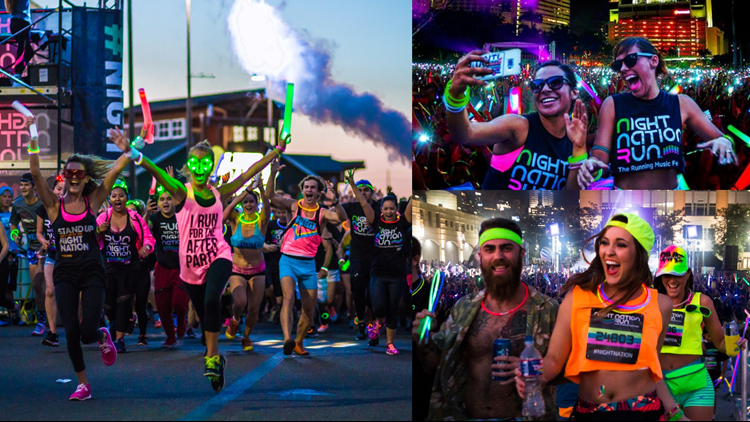 The event blends a music festival and fun run with a course filled with live DJs, light shows, bubble zones, neon and black lights. After crossing the finish line, runners will enjoy a main stage after party with top DJs. The Night Nation Run will be held at Elitch Gardens on Saturday with the pre-party beginning at 5:30 p.m. and the first waves starting at 7 p.m. You can get your tickets at NightNationRun.com and use the promo code 9NEWS at checkout to get tickets for $25 (60% off full price). 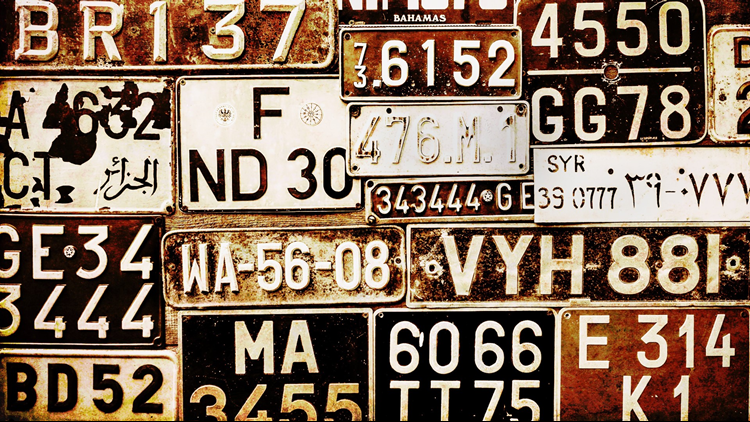 Florence, "the antique capital of Colorado," will host Junktique on Friday and Saturday. With 200 booth spaces down Main Street through the center of town, the show aims to be the premier outdoor antique, vintage show and flea market event in Colorado. Vendors will not only be selling antiques, but handmade items, unique crafts from local artisans and there will be fun kids' activities as well. This weekend the Boulder Philharmonic Orchestra is presenting an ode to America’s greatest living composer for film: John Williams. The tribute features selections from Star Wars, E.T., Jaws, Harry Potter, Raiders of the Lost Ark, Jurassic Park and more. 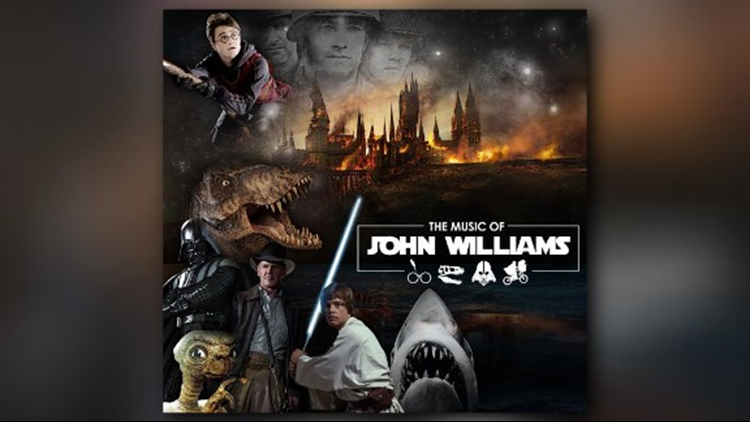 "A Tribute to John Williams" begins at 7:30 p.m. Saturday at Macky Auditorium on the CU campus, tickets for which are available online. 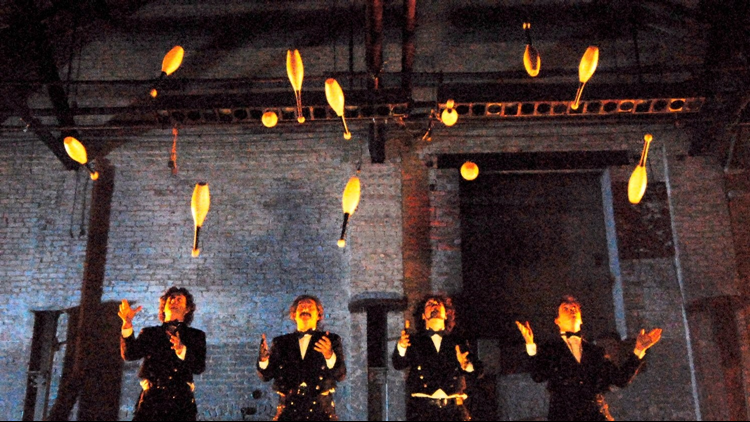 Known for awe-inspiring juggling, musical ingenuity, off-kilter clowning and consistently testing the laws of physics, The Flying Karamazov Brothers will appear at the Lakewood Cultural Center on Friday and Saturday. The talented group have appeared in numerous movies and television shows over the decades including The Late Show, Seinfeld, Ellen, The Tonight Show, Today, Good Morning America and more. Tickets are available at 303-987-7845, the Lakewood Cultural Center Box Office or at Lakewood.org/LCCPresents. 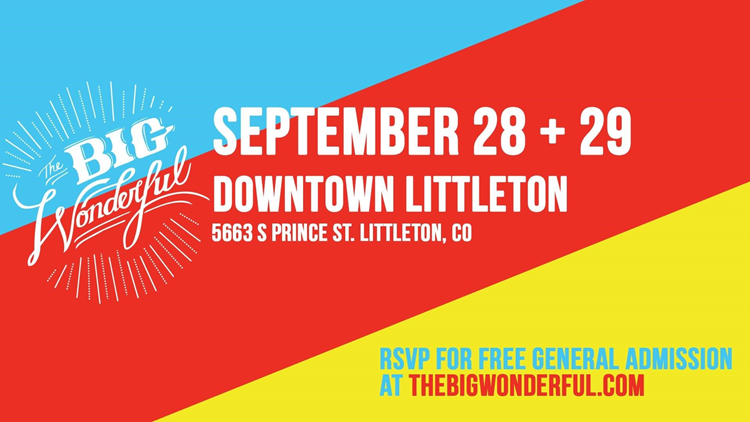 TheBigWonderful, which combines a beer fest, with bluegrass music and a bazaar, returns to downtown Littleton on Friday and Saturday. There will be shopping, sipping and dancing with local bluegrass bands, over forty Colorado craft vendors, local food trucks and beer fest with over ten breweries, cideries and distilleries. TheBigWonderful and Reinke Brothers Inc. are also re-opening the "Haunted Mansion" after a three-year hiatus with more chills and thrills plus a fireworks show Saturday night. Admission to TheBigWonderful is free and beerfest tickets are available at TicketFly.com. South Gaylord Street in Denver is toasting local breweries, distilleries and wineries this Saturday with the Farm to Bottle Fall Festival. There will be tastings from over forty Colorado establishments, plus local food vendors and live music. 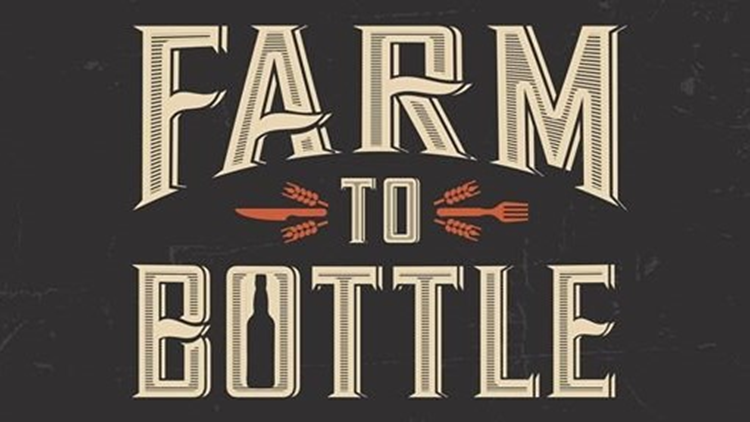 The festival will run from 3 to 7 p.m., with VIP ticket holders getting early entry at 2 p.m. Farm to Bottle tickets are available online. 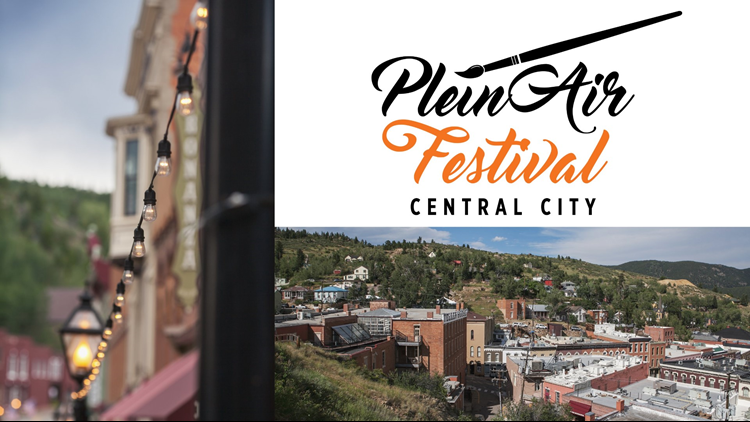 The first-ever Central City Plein Air Festival will run from Friday to Sunday. The event, presented by Central City Opera, will feature 20 artists from around the country painting fall landscapes and buildings that interest them within a three-mile radius of the Central City Opera House. Painting begins at 8 a.m. Friday and the event is completely free for the public to watch and ask questions of the artists. The public can also attend the Exhibition and Sale at the Gilpin County Art Association’s Washington Hall Gallery starting Sunday at 5 p.m. where the festival judge will select the winning paintings. 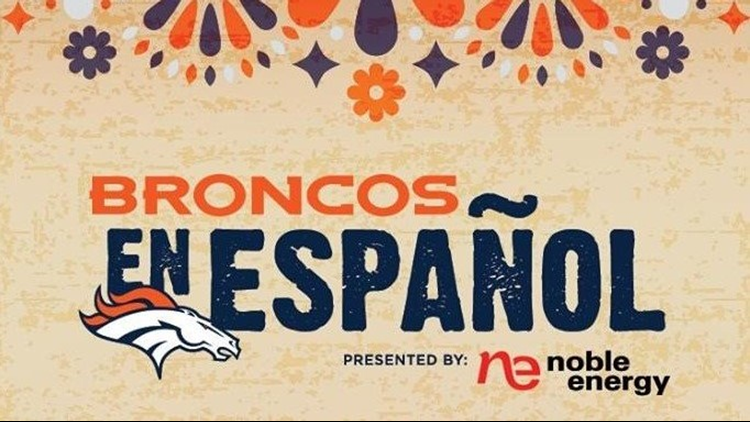 The Denver Broncos will host their annual fan fest for Broncos Fanáticos this Friday evening. The event will take place from 5:30 to 8:30 p.m at Broncos Stadium at Mile High. The event will feature a fan-fest atmosphere with autograph opportunities with current Broncos players, cheerleaders and Miles the Mascot, prize giveaways, on-field football activities, live painting and plenty of family-friendly activities. Tickets are free and can be picked up at the Broncos ticket office at the stadium. The wait is over! 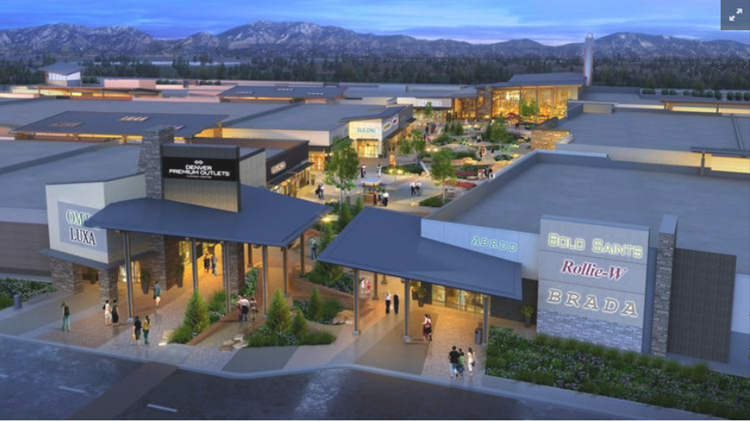 The Denver metro area's newest shopping center, Denver Premium Outlets, will open to the public Thursday and kick off a weekend-long celebration. The new center at I-25 and 136th Avenue in Thornton will have a ribbon-cutting ceremony on Thursday at 9:30 a.m. and is set to open at 10. Some of the festivities planned this weekend include live music, a beer garden, photo booth, prize giveaways and a fireworks show at 9 p.m. Saturday night. An opening-weekend schedule and list of stores can be found at PremiumOutlets.com. 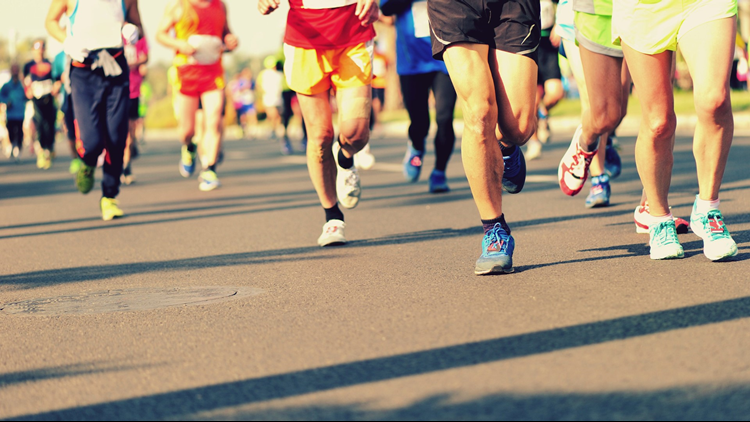 The Colorado Springs Marathon is a community running event that actually features several races including a marathon, half marathon and 5K. The races begin and end at Acacia Park in downtown Colorado Springs and will travel through America the Beautiful Park, Monument Valley Park, Memorial Park and around the Olympic Training Center. The full and half marathons will start at 7 a.m., the 5K at 7:05 a.m. and a Kids K at 10:45 a.m. Race registration can be completed online. Representatives of nearly 300 colleges and universities will set up information stations at the free Denver National College Fair on Sunday from 1 p.m. to 4 p.m. at the Denver Mart. It’s the place to get some guidance on finding the right college, plus important information on scholarships and financial aid. A list of the participating schools is on the website. There will be representatives from state colleges and universities, junior and community colleges, private non-profit colleges, for-profit institutions and even international schools. The event is relevant for high schoolers getting ready for college and adults returning to school. This event was first published by MileHighontheCheap.com. For more local deals and discounts go to MileHighontheCheap.com. Swing music lovers, rejoice! 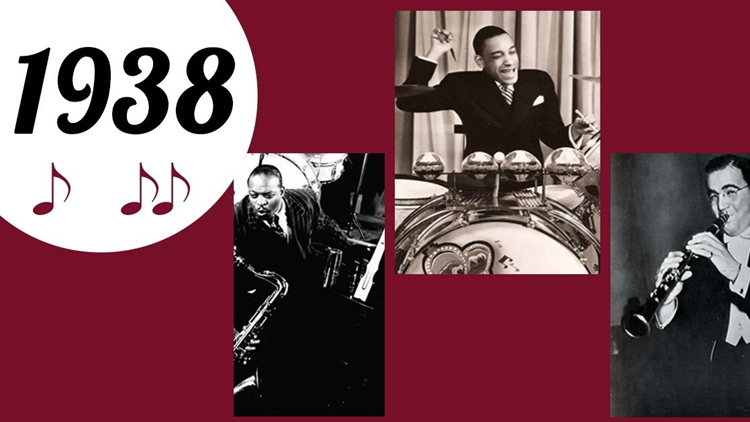 Swing in Denver has a special night of swing music planned for Saturday featuring swing dance lessons and three separate sets from the Hot Tomatoes Dance Orchestra dedicated to the music of Count Bassie, Chick Webb and Benny Goodman's bands, all of which had huge career moments in 1938. The night of music and dancing will begin at 6:30 p.m. at the VFW Post No. 1 at 841 Santa Fe Dr. Tickets are limited so get yours at SwingInDenver.com. 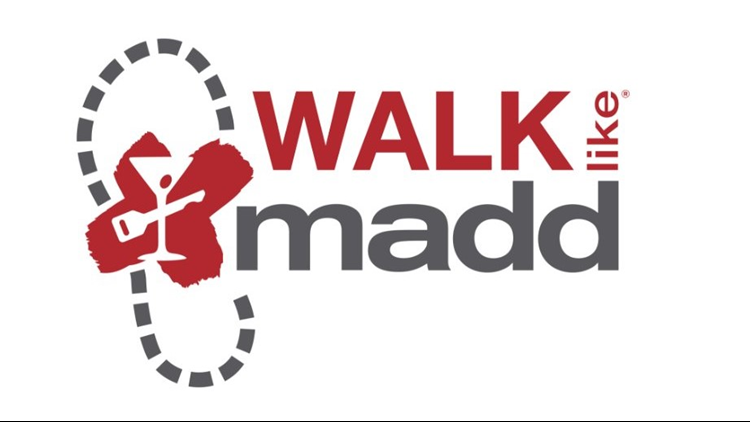 On the 10th Anniversary of Walk Like MADD, walks will take place in more than 90 cities in America to "help create a future of No More Victims" of drunk driving. The Greeley Walk Like MADD 2018 will be held Saturday at Promontory Point Park. The walk is scheduled to take place from 9 a.m. to noon. Registration can be completed on-site starting at 7:30 a.m. or you can register at WalkLikeMADD.org. Is there anyone who attended school in metro Denver who has not been to the remarkable Denver Museum of Nature & Science in City Park? 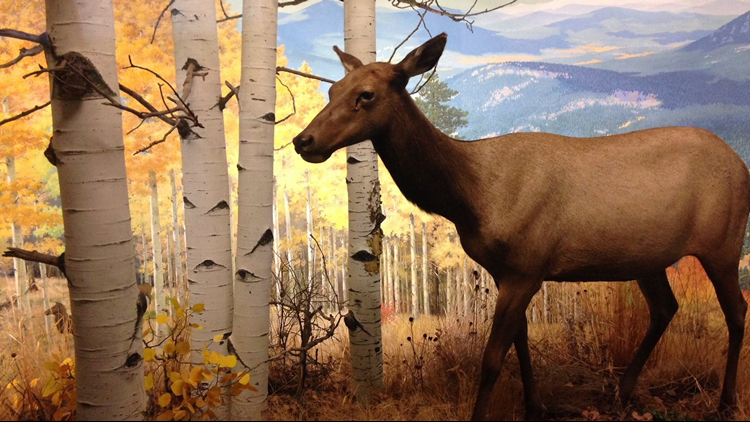 With amazing dinosaur skeletons, brilliant minerals, artifacts from space exploration, wildlife dioramas and other collections, the museum is a Denver gem. In fact, Today a mere 2% of the 1.5 million artifacts and specimens are on display. Free admission days are scattered throughout the year, including this Sunday (note: this does not include IMAX or the planetarium). This event was first published by MileHighontheCheap.com. For more local deals and discounts go to MileHighontheCheap.com. 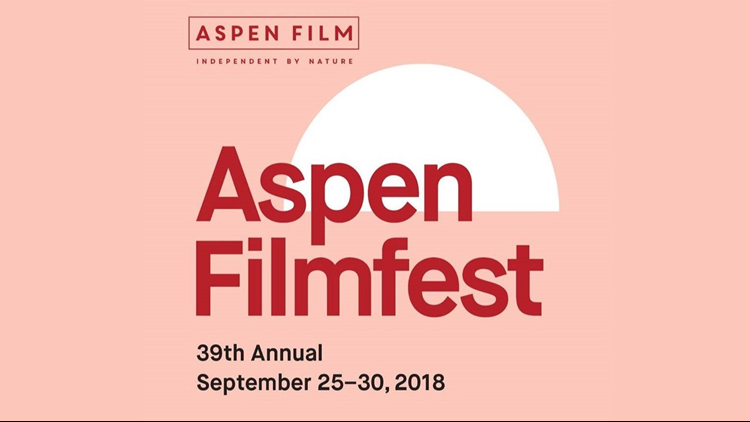 The 39th Aspen Filmfest is now underway and continues through Sunday. Held at the Wheeler Opera House and Isis Theatre in Aspen and the Crystal Theatre in Carbondale, the festival has highly-anticipated fall previews and award-winning films from the international circuit. There are also panel discussions and special guests. Head to AspenFilmfest.org to see a list of show times and to get tickets. CU Performing Arts' production of Great Expectations begins a two-weekend run starting Thursday at the Loft Theatre in Boulder. 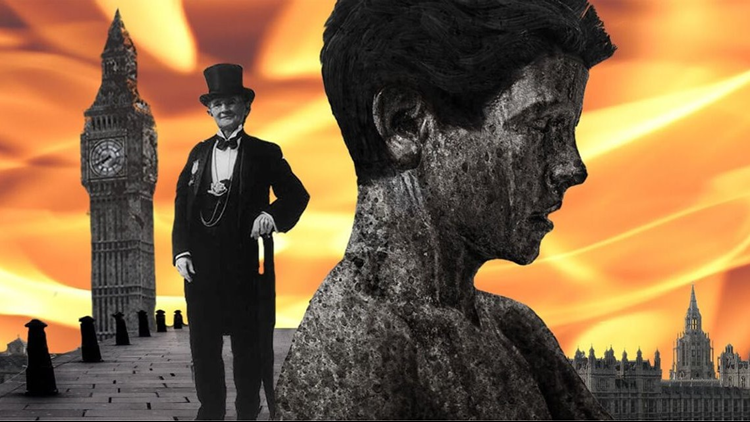 Directed and adapted by Cecilia Pang from the novel by Charles Dickens, the tale of crime, guilt, revenge and reward features a cast of talented young performers from the CU Theatre & Dance Department. Performances of Great Expectations run Thursday to Sunday through October 2. Tickets can be found at CUPresents.org. The annual Hawaiian Steel Guitar Festival will run Thursday to Saturday in Fort Collins. 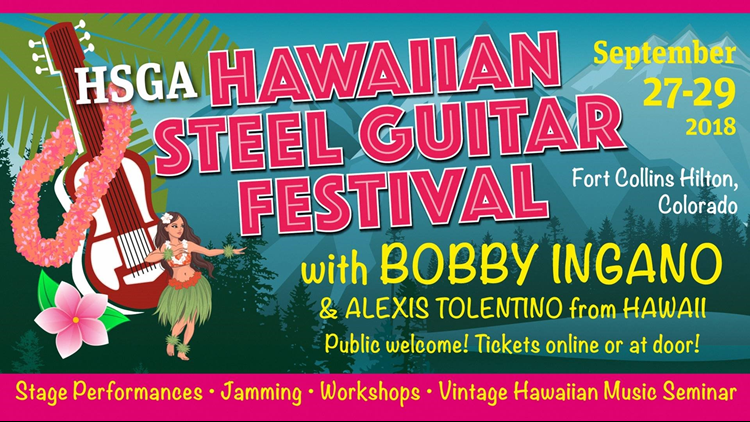 The event will feature three-days of stage performances from Hawaiian Steel Guitar Association members and special guests Bobby Ingano and Alexis Tolentino from Hawaii as well as workshops to build on your Hawaiian steel or uke technique. There will also be a Saturday Luau Dinner with entertainment at the Hilton Hotel. Single-day or three-day passes and a complete event schedule are available online. 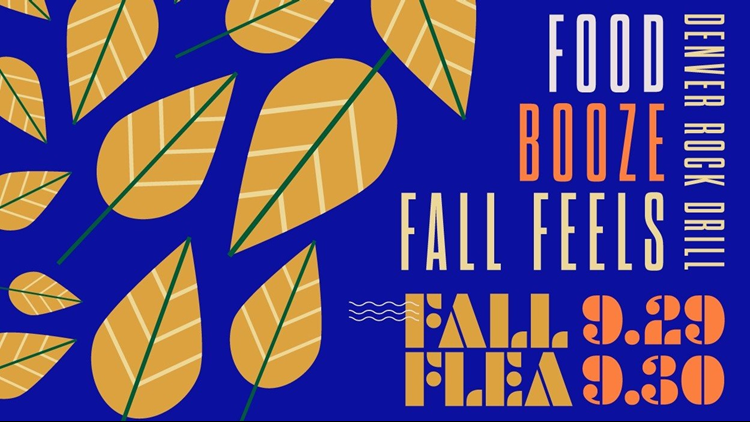 The fall Denver Flea pops up in the RiNo/Cole neighborhood at Denver Rock Drill on Saturday and Sunday. The Denver Flea brings together hundreds of local makers and small businesses from Colorado and the Western region. Vendors will be selling their goods alongside food trucks and pop-up bars serving beer and craft cocktails. Tickets are $5 per person and can be purchased online and at the door and children 12 and under are free. Use the promo code MileHighOnTheCheap for 20% off your weekend pass when you purchase online here. This event was first published by MileHighOnTheCheap.com. For more local deals and discounts go to MileHighontheCheap.com. The Colorado Springs Switchbacks and iHeartRadio are holding their 2nd Annual Dead Man's Brewfest at the Switchbacks' Weidner Field. The event promises beer, wine, entertainment and more. Tickets are sold at AXS.com. This is Tiny Town & Railroad's last weekend of operation for the 2018 season. 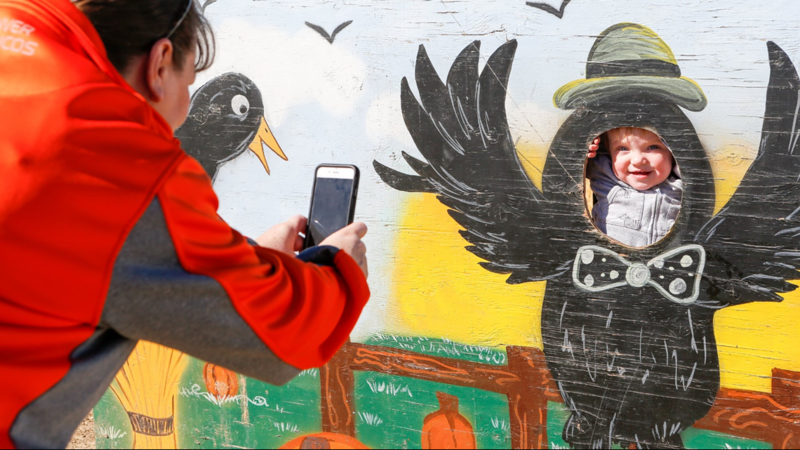 Head to beautiful Morrison one more weekend to make memories with the kids and grandkids with train rides, ice cream and one-of-a-kind Tiny Town buildings. Tiny Town will be open from 10 a.m. to 5 p.m. on Saturday and Sunday. 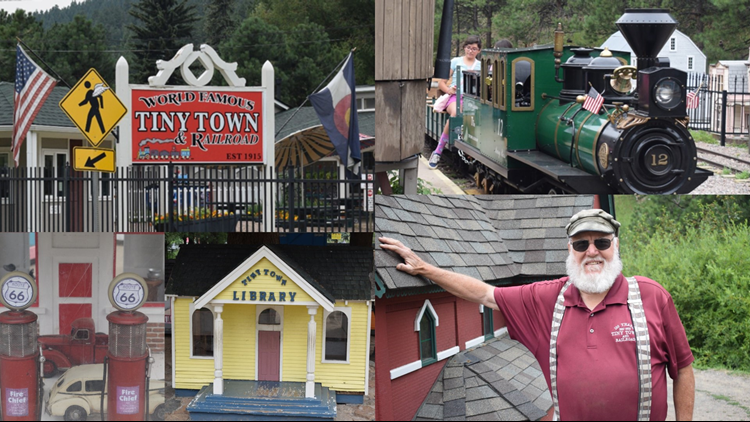 PHOTOS | Tiny Town in Morrison, Colo. The Colorado Buffaloes face their first Pac-12 opponent of the season on Friday night. The Buffs host Chip Kelly's UCLA Bruins at 7 p.m. in a nationally-televised "blackout" game. 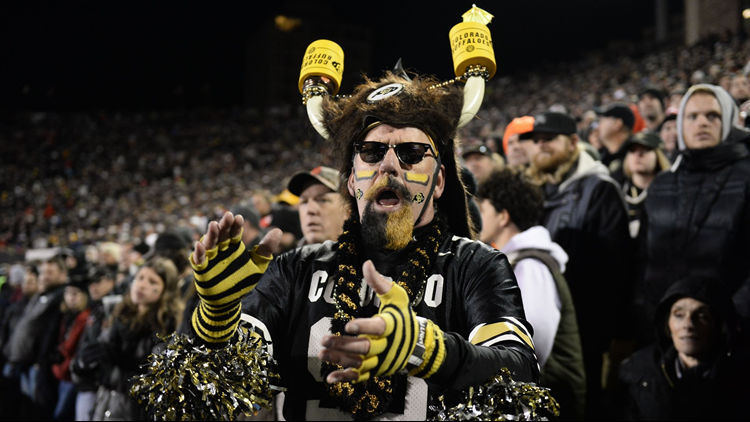 Folsom will be packed so get your tickets now at CUBuffs.com and wear black, Buff fans! The UNC Bears will return to Greeley for a week five game against North Dakota on Saturday. Kickoff is scheduled for noon at Nottingham Field. Tickets.UNCO.edu is the place for Bears tickets. For the first time since September 1, Air Force is back at Falcon Stadium. 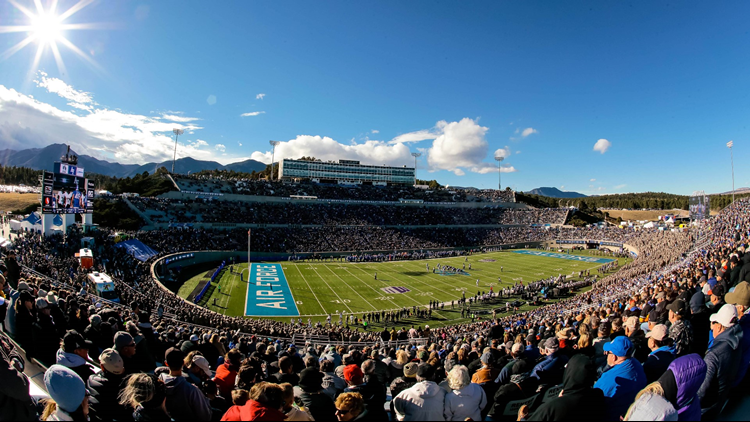 The Air Force Academy Falcons and Nevada Wolf Pack will clash at 2 p.m. Saturday in Colorado Springs. Tickets are sold at AFTickets.com. 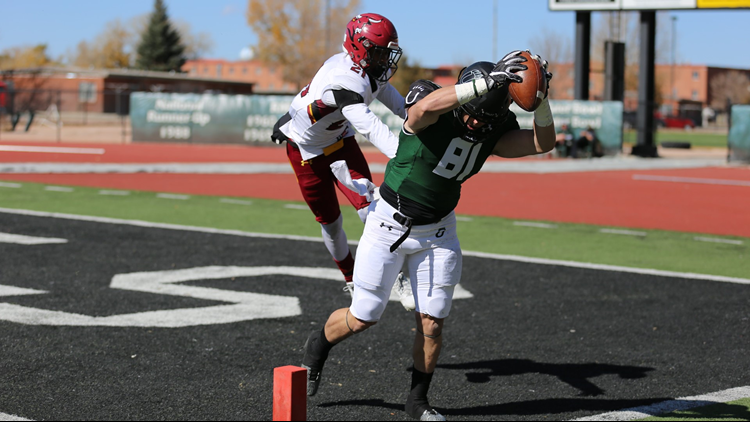 The Adams State football team returns home to Alamosa's Rex Stadium this weekend. 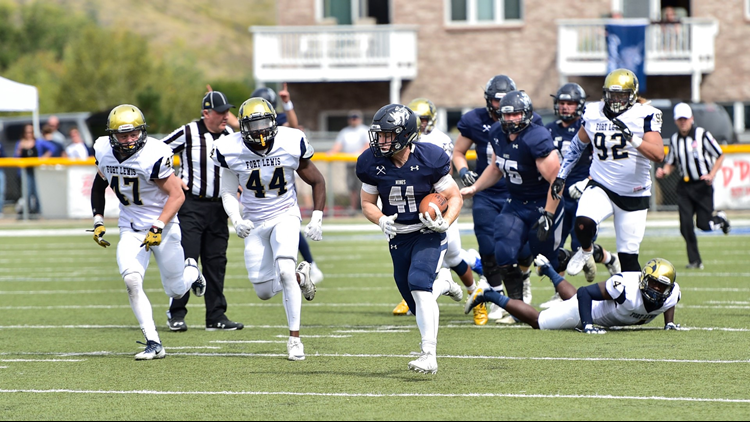 After winning at Western State last week, the Grizzlies will face Fort Lewis College at 1 p.m. Saturday. 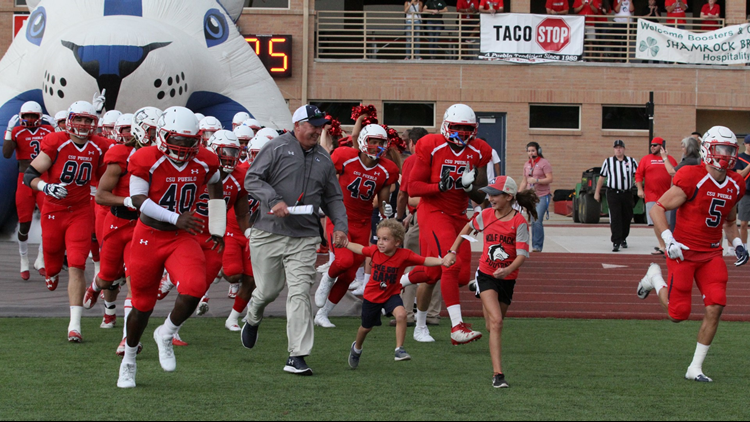 The 4-0 Orediggers are ready to host the Colorado Mesa Mavericks on homecoming weekend. The game will kickoff at high noon Saturday at Marv Kay Stadium at Campbell Field in beautiful Golden. Snag your tickets at MinesAthletics.com. It's homecoming weekend at Colorado State University Pueblo. 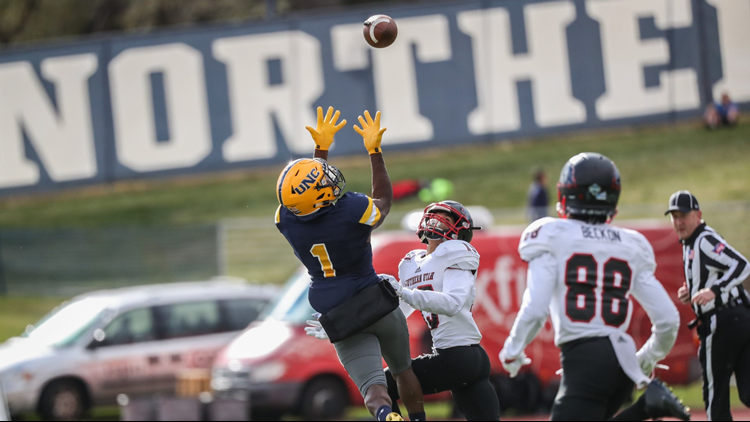 The ThunderWolves will host South Dakota Mines at 2 p.m. Saturday at Neta & Eddie DeRose ThunderBowl. You can get your tickets at the stadium ticket office or at GoThunderWolves.com. Do you know of a unique, fun Colorado fair, festival, concert or event we ought to include this week or in a future 9Things? Send it to alexander.kirk@9news.com! Photo Courtesy: Maize in the City in Thornton, Colo.